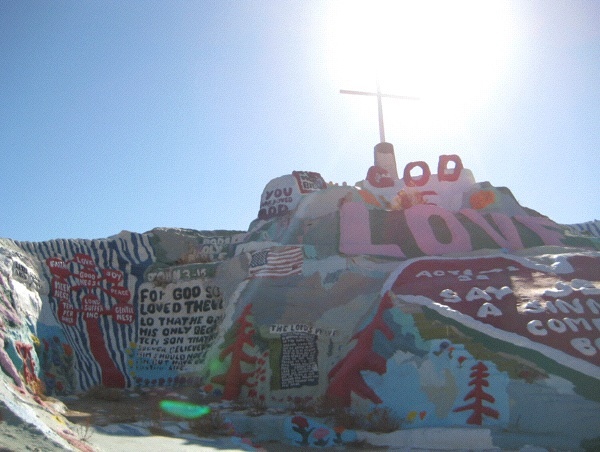 Lead There be Light: Leonard Knight, 79, began building Salvation Mountain, outside Niland, California, in 1986. 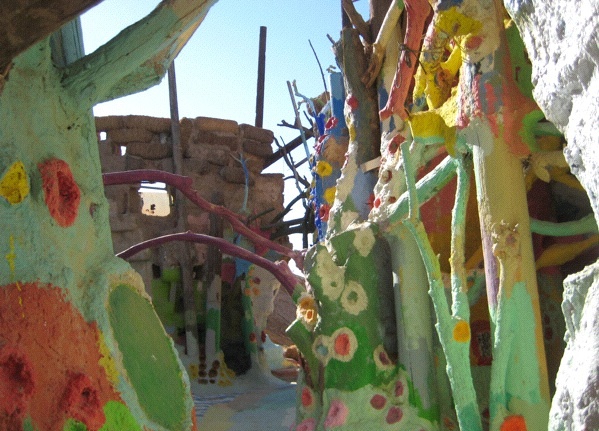 I’d hesitate to call anything made from gallons of paint “green” except in a strictly colorful sense, but Knight does get creative, constructing “trees” out of stacked tires, adobe, and large sticks. Mostly, though, the place is about getting the message out: God = Love. 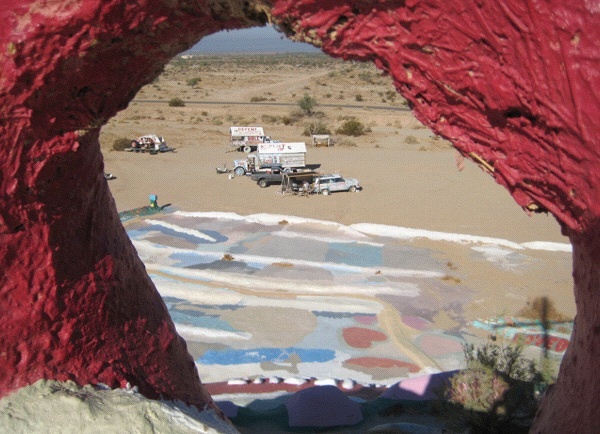 In recent years, Knight’s legend has grown with appearances in Sean Penn’s “Into the Wild,” and the John Waters-narrated documentary, “Plagues & Pleasures on the Salton Sea” (Photo: Tim Murphy). (Photo: Tim MurphyBonus photo below the jump!